August 1, 2017, Keelung, Taiwan - Lian Li Industrial Co. Ltd is proud to present the new DK-05 motorized computer desk chassis. The DK-05 combines the ergonomics of a motorized desk with an incredibly customizable dual-PC chassis. The desk can be heightened to 118cm for standing work, and down to 69cm desk height for a sitting position. With a gorgeous tempered glass cover, the all-Aluminium DK-05 offers the comforts of a motorized standing desk, trusted Lian Li build quality, and flexibility of two XL-ATX computers in one chassis. The DK-05 features a front Panel HDMI connector for VR Headsets as well as an USB Type-C connector for the latest USB 3.1 enabled devices. The DK-05 contains two Extended ATX (305x276)motherboard trays that allows you to build an incredibly versatile workstation without the need for a bulky computer chassis on or under your desk. 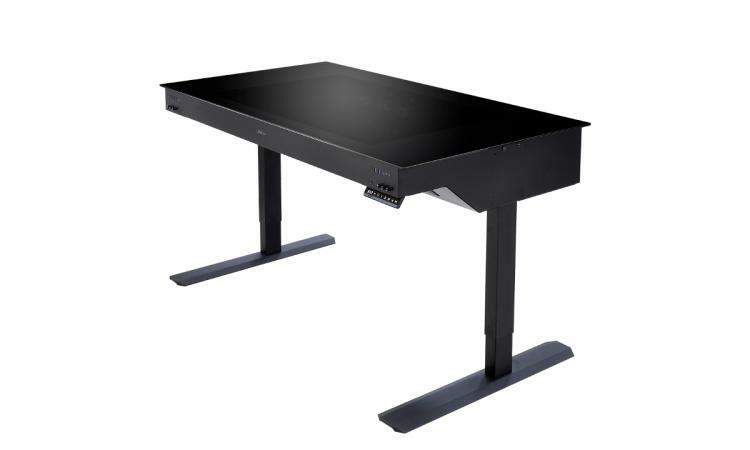 This allows content creators and developers to have a rich, uncluttered desk with space for a multitude of monitors and the freedom to develop or game standing or sitting. Each Tray can fit a motherboard, up to 8 PCI & PCI express cards, a power supply and two 2.5” drives. The DK-05 it prepared of extensive amounts of liquid cooling. 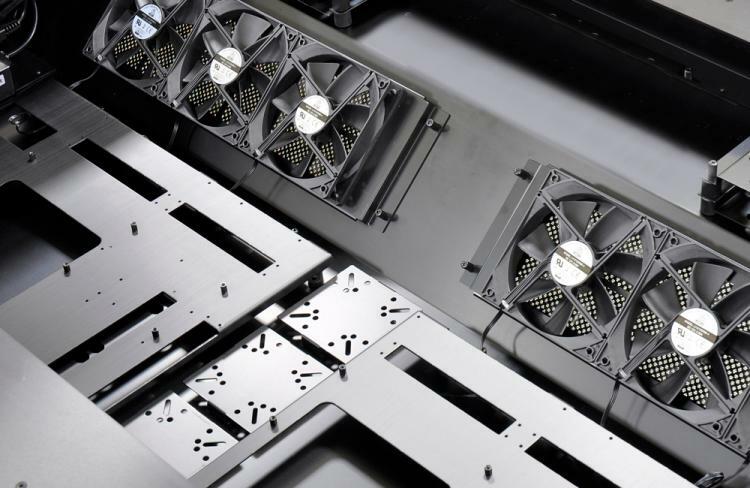 In between the motherboard trays, you can find mounting points for reservoirs, pumps or drivers and the fan trays are prepare for 360 & 480mm radiators. This allows high performance workstation and gaming PCs to stay cool regardless of workload. The DK-05 has two separate front I/O panels with USB 3.1 Type-c, USB 3.0, HDMI and HD-Audio. These allow full control of the PCs inside, or give the flexibility of use only one motherboard tray is used. Additionally, each I/O panel also has RGB adjustment dials to fine-tune optional RGB lighting kits. The right side of the desk also features the height adjustment panel. A height indicator (in cm or inch) manual adjustment (up and down) and programmable buttons for stored height positions to quickly get the desk up to your preferred working level.